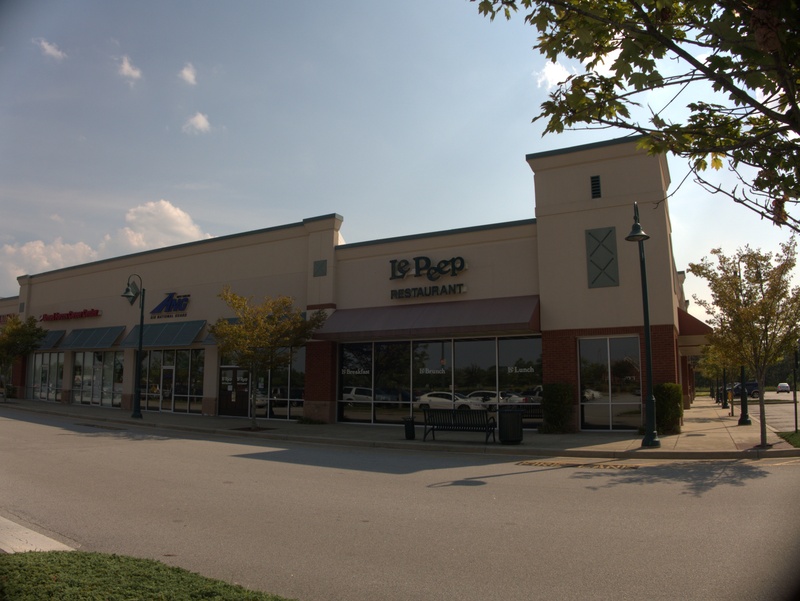 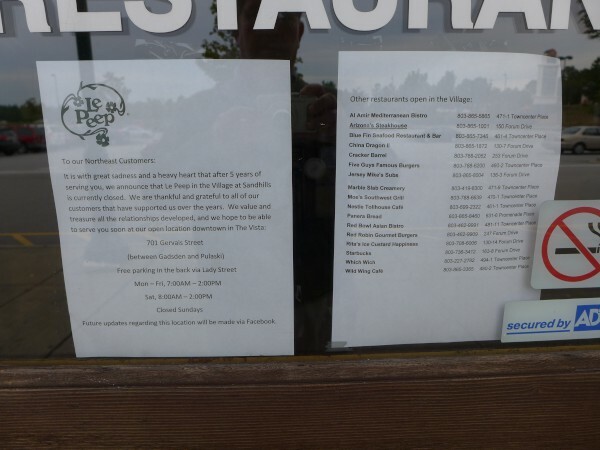 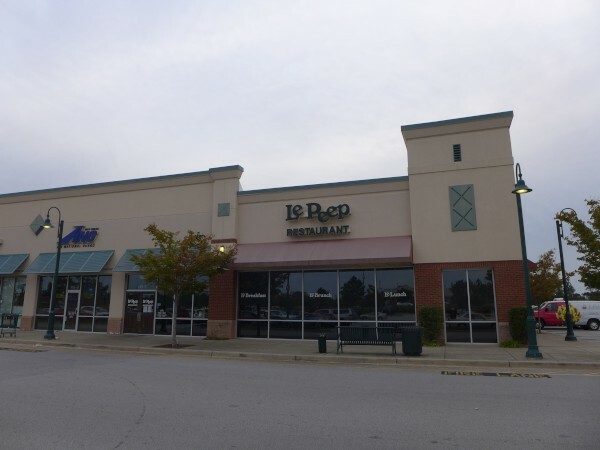 It hardly seems possible to me that Le Peep was at Sandhill for the five years that their closing letter claims, but looking back I see that in fact The Italian Pie closed in the fall of 2008. 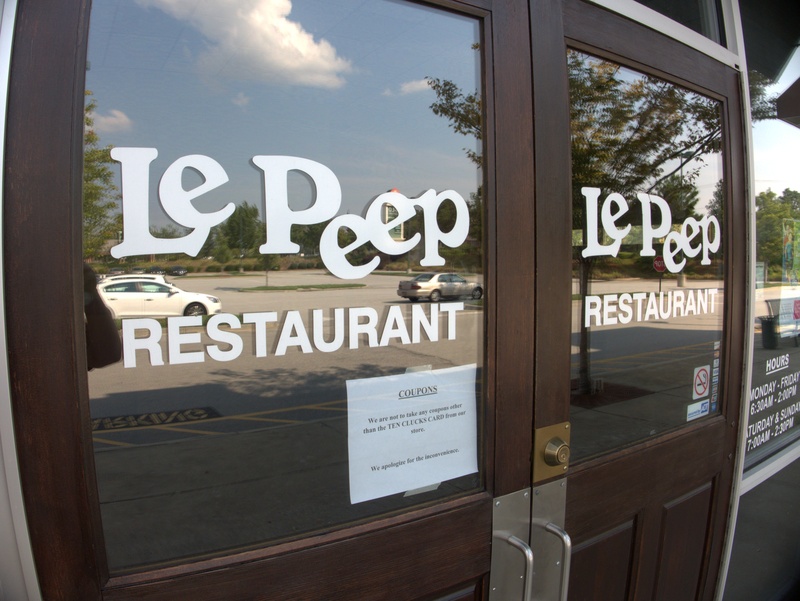 I'm not a morning person by nature, and Le Peep closed at 2pm, so I never got a chance to check it out, but it seems to have been a well regarded breakfast spot. The door letter implies that the space remains under the same ownership and that something new may be forthcoming. 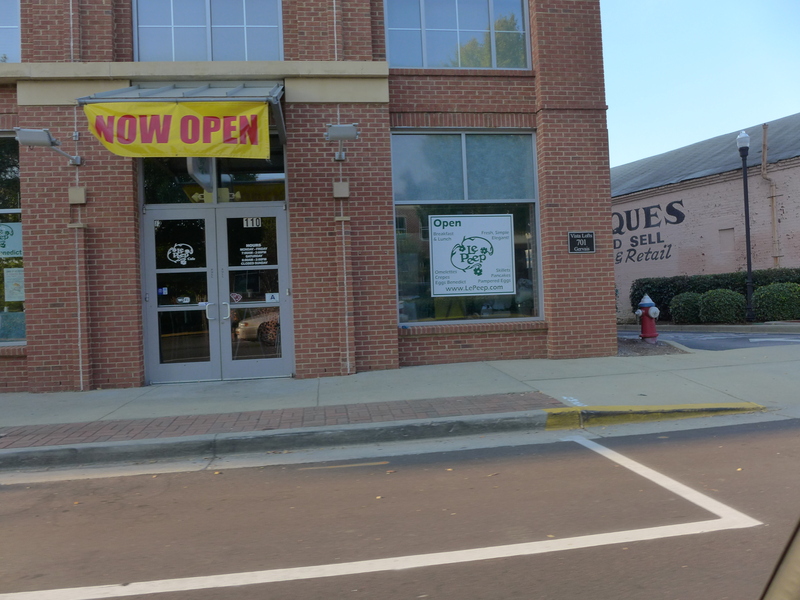 In the meantime, the chain just opened a location on Gervais Street in the old Mezza space. 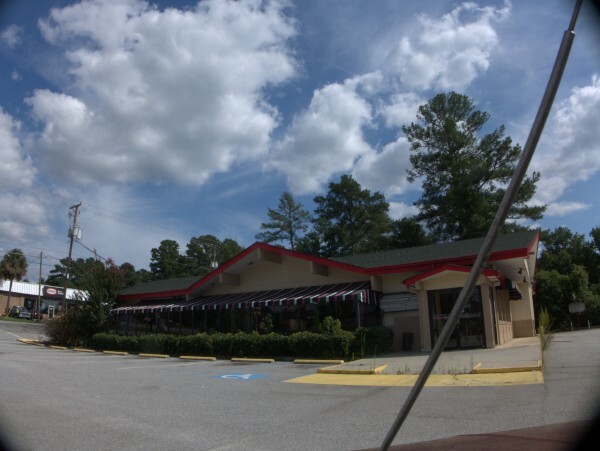 I have to say posting a listing of all the other Sandhill restaurants is a classy touch. UPDATE 19 Aug 2014 -- This location is up and running again. 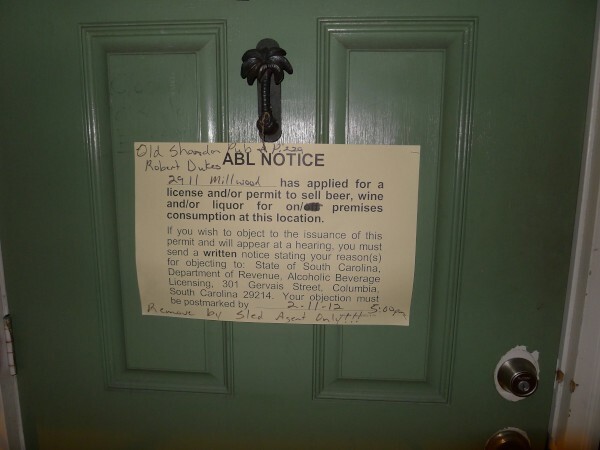 Not sure what the story is, but good! 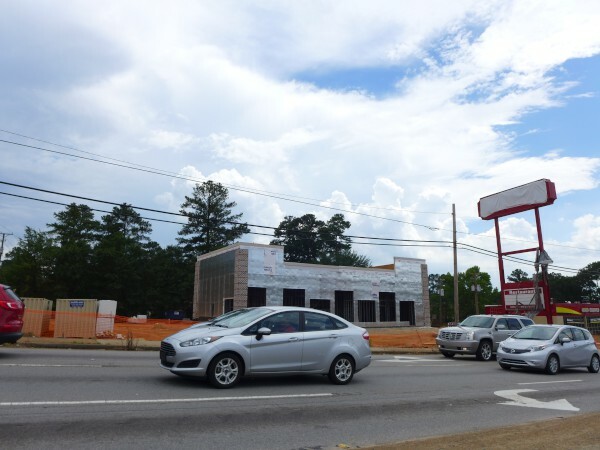 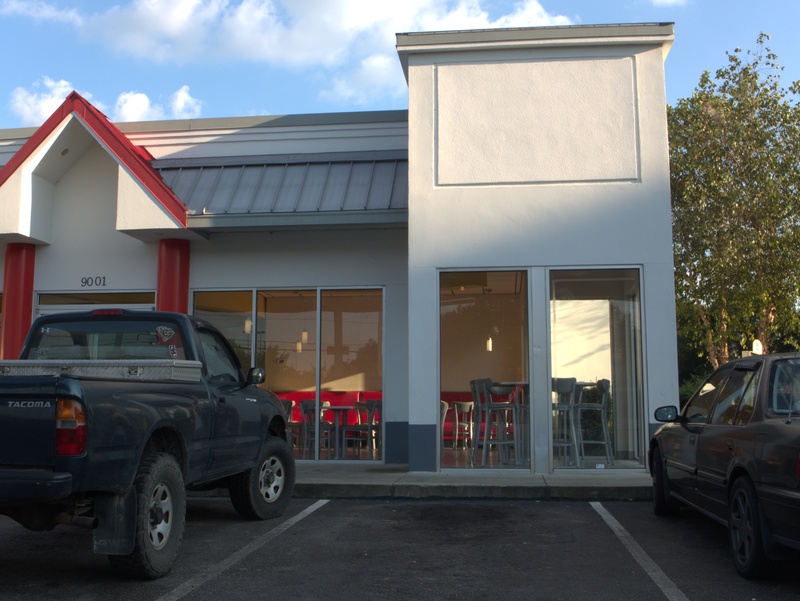 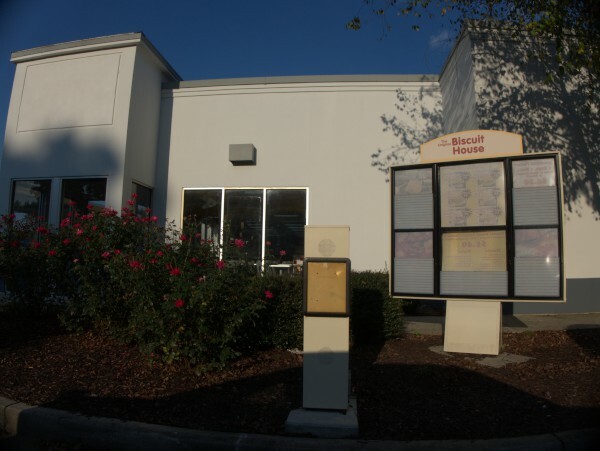 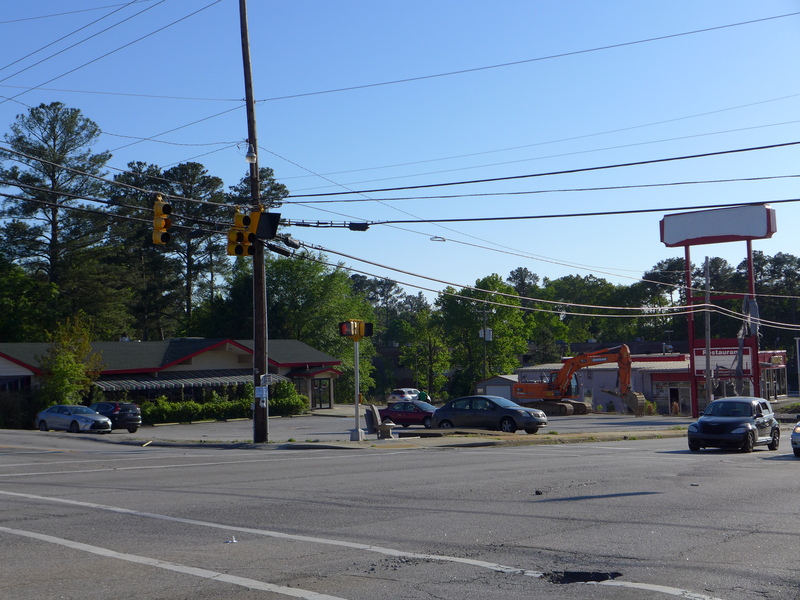 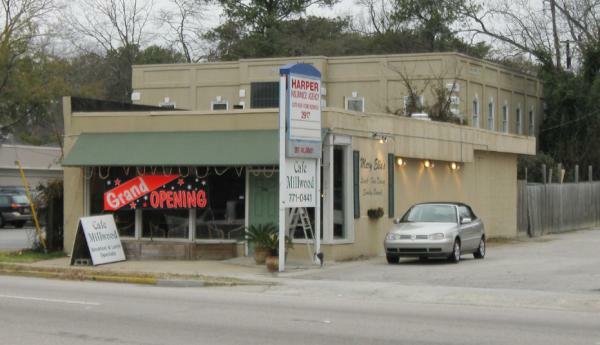 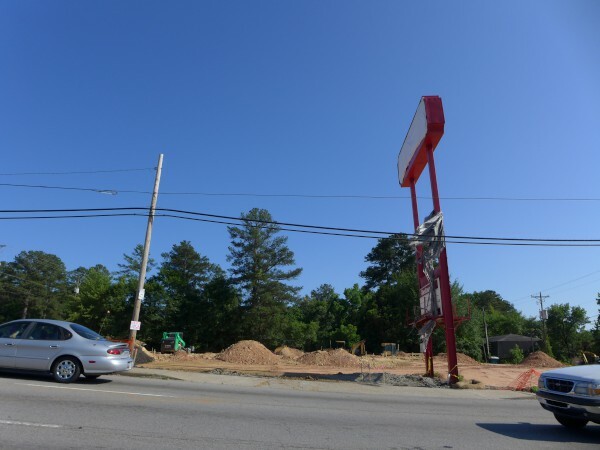 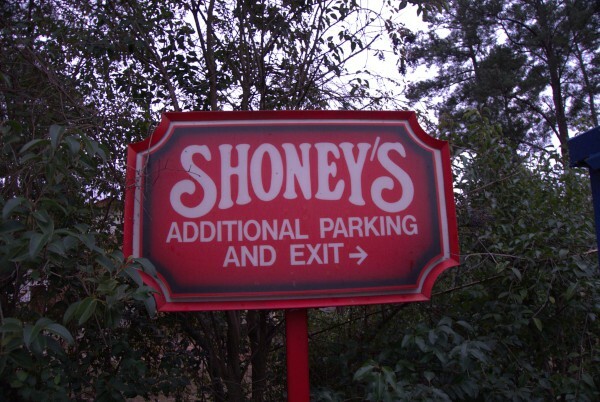 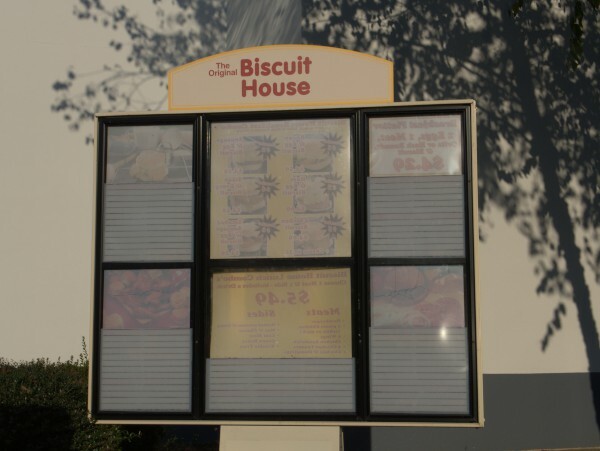 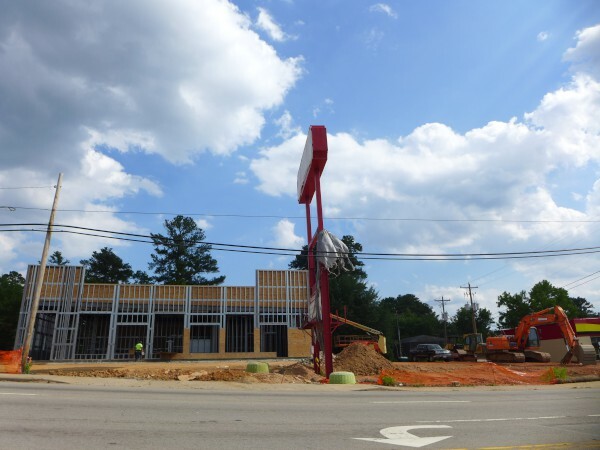 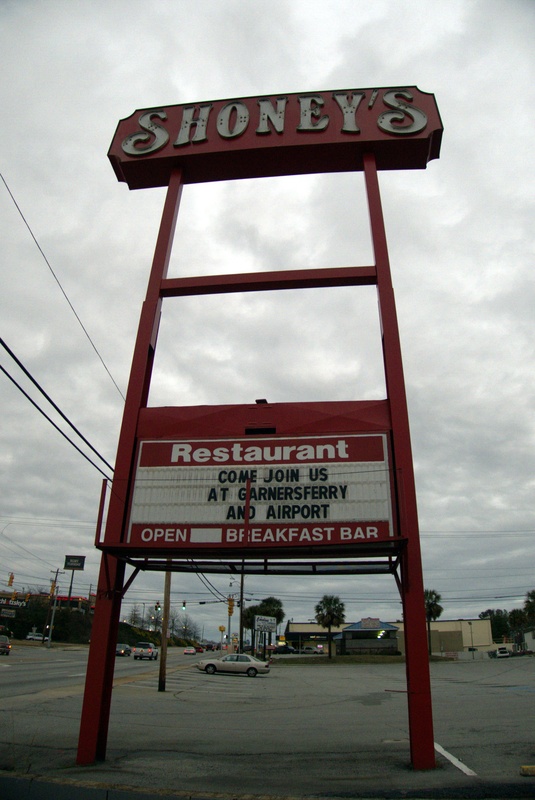 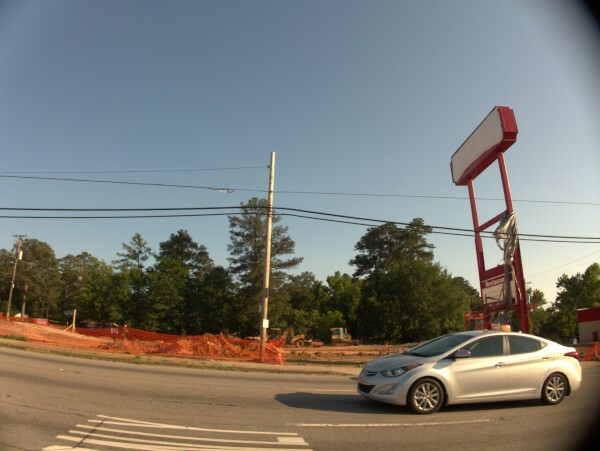 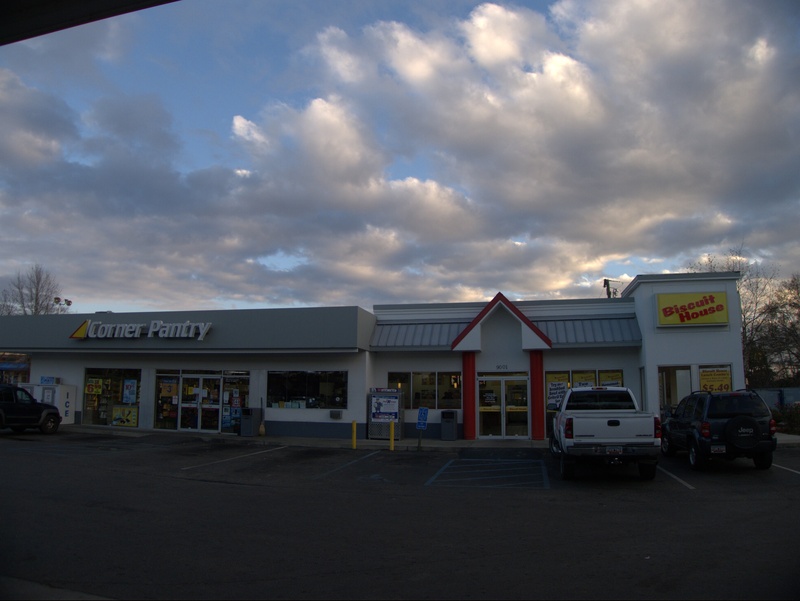 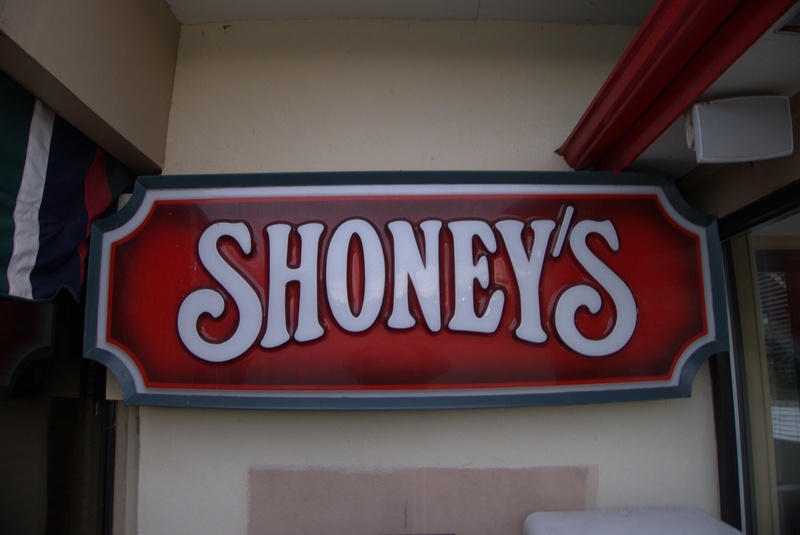 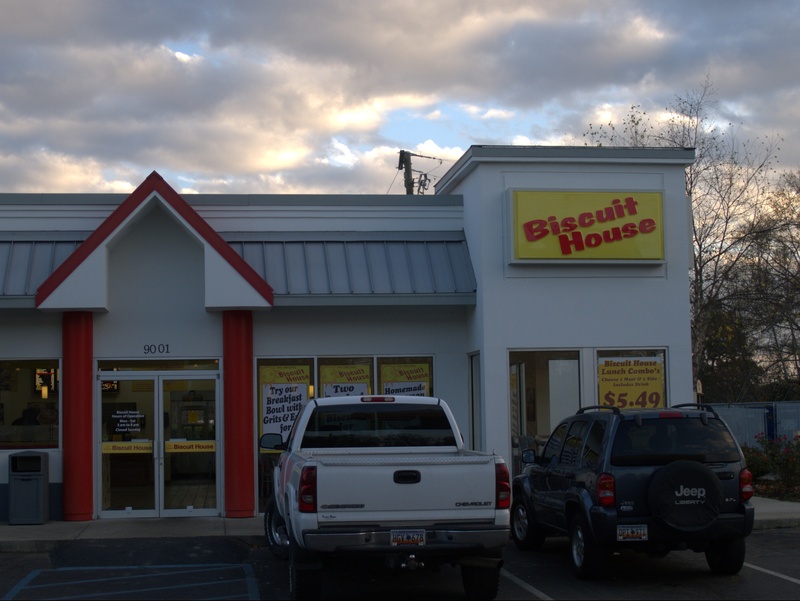 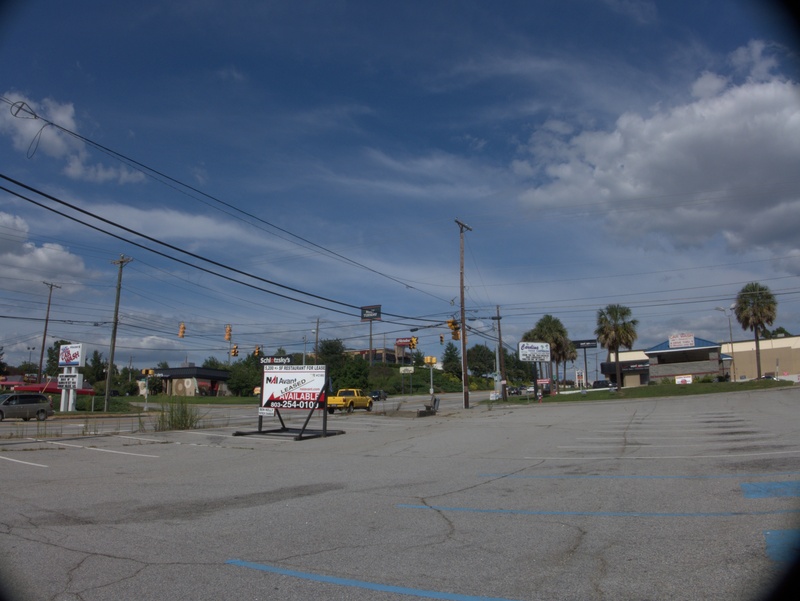 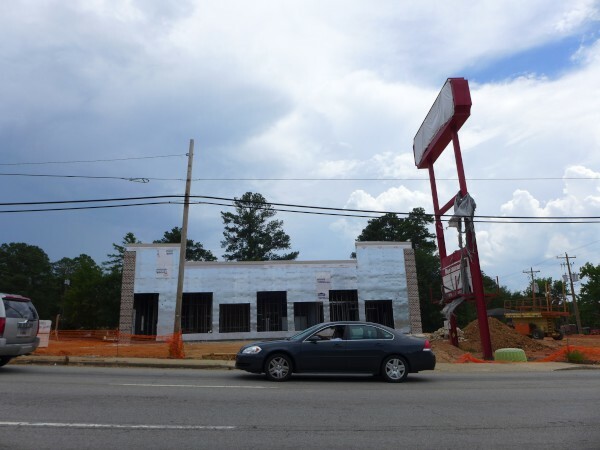 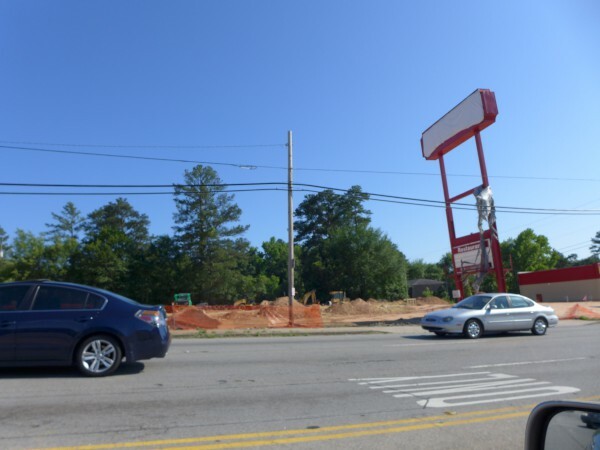 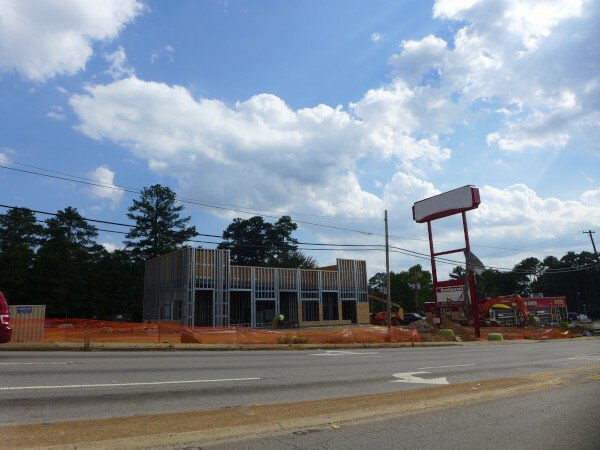 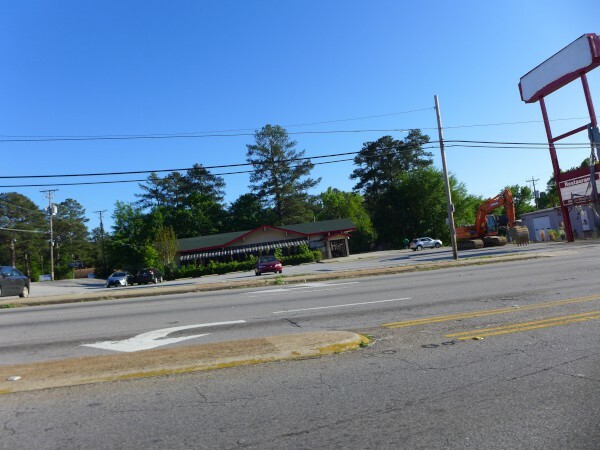 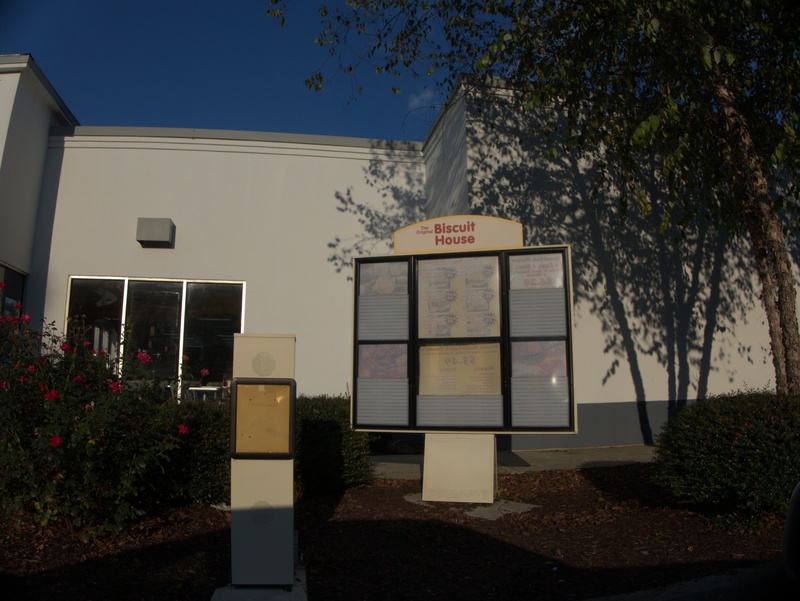 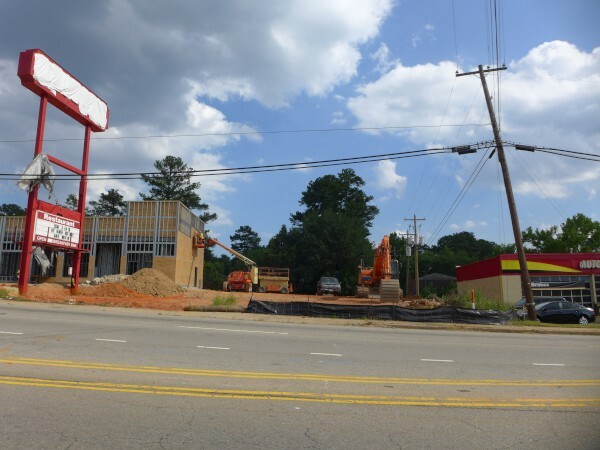 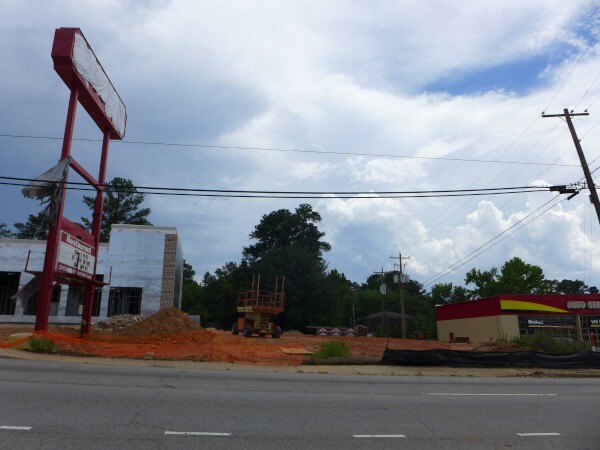 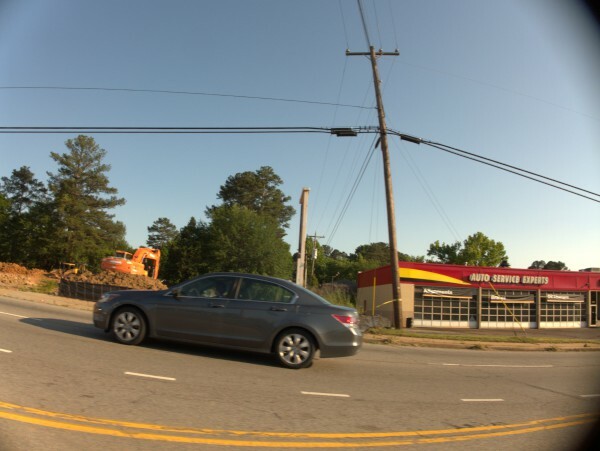 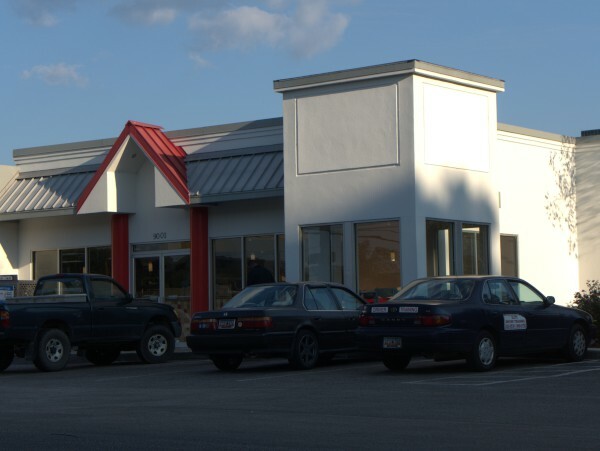 When the original Biscuit House on Bluff road closed, there was an announcement that someone had bought the brand rights so as to open new Biscuit House locations inside convenience stores, much as Subway and Blimpie do. 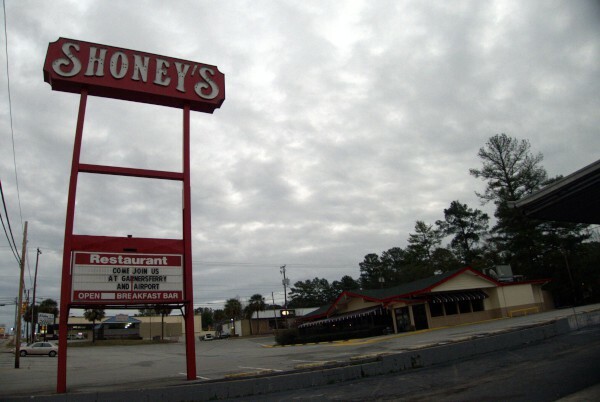 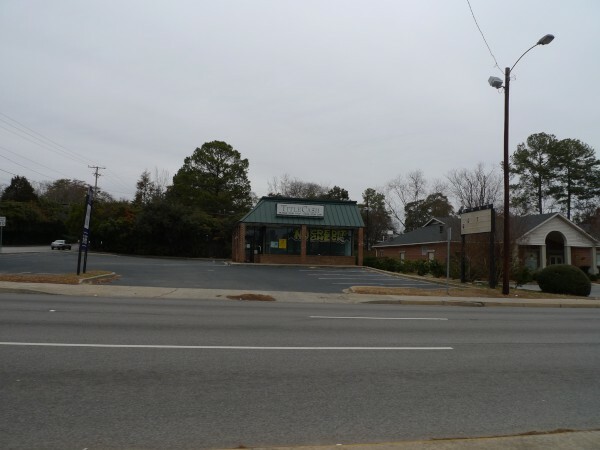 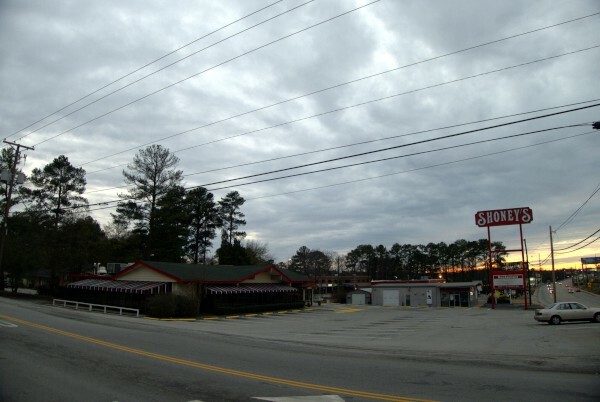 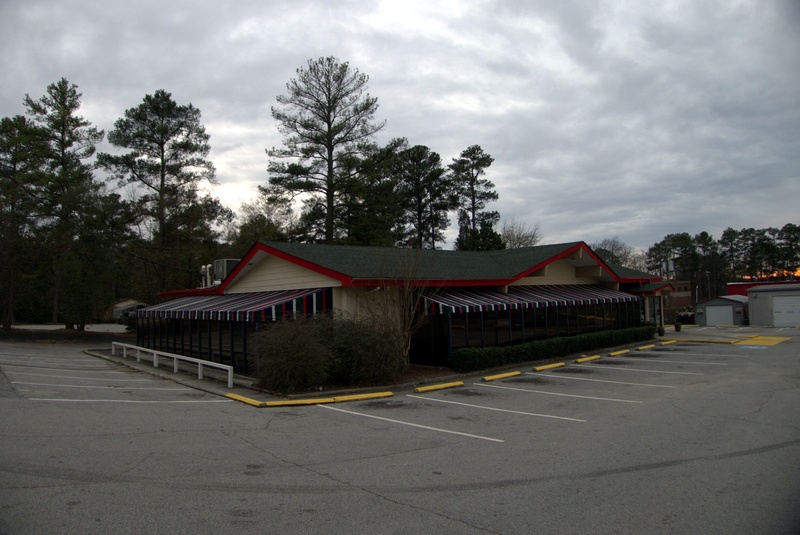 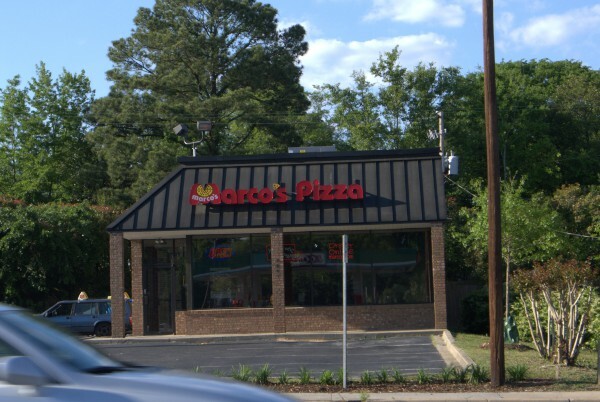 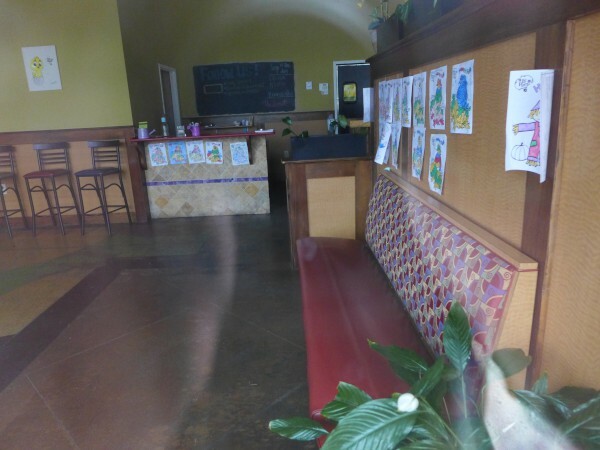 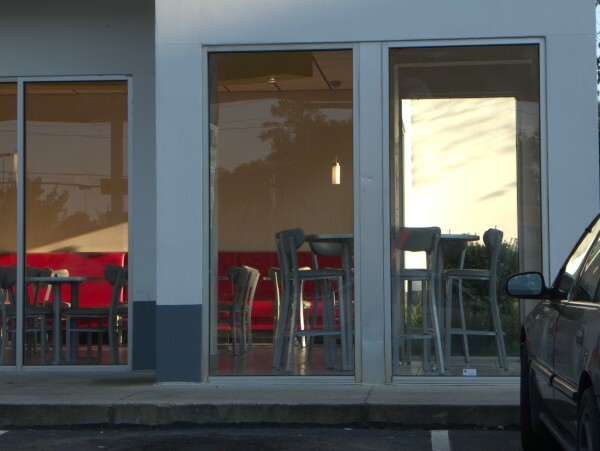 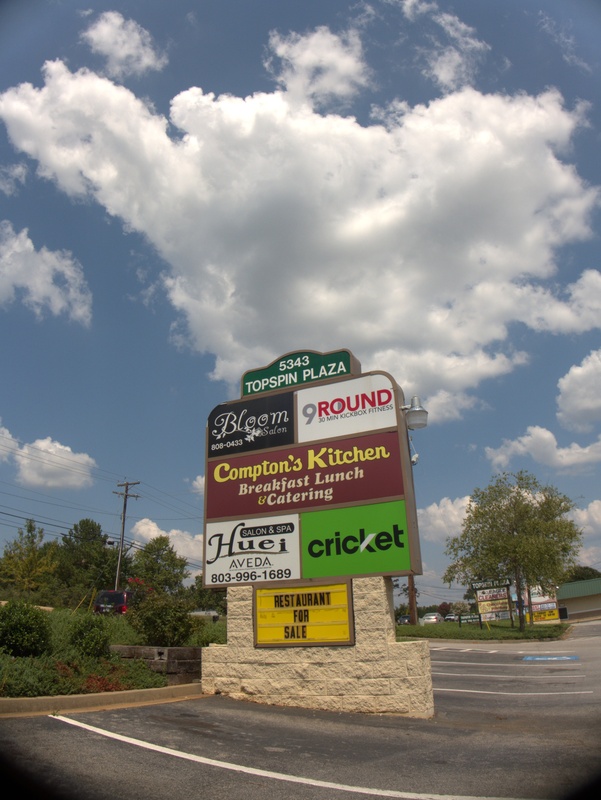 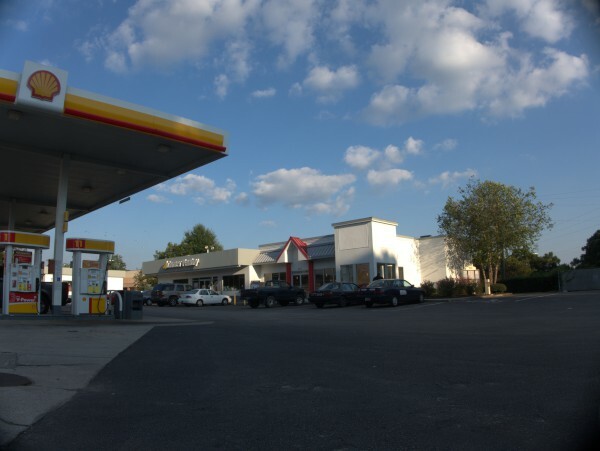 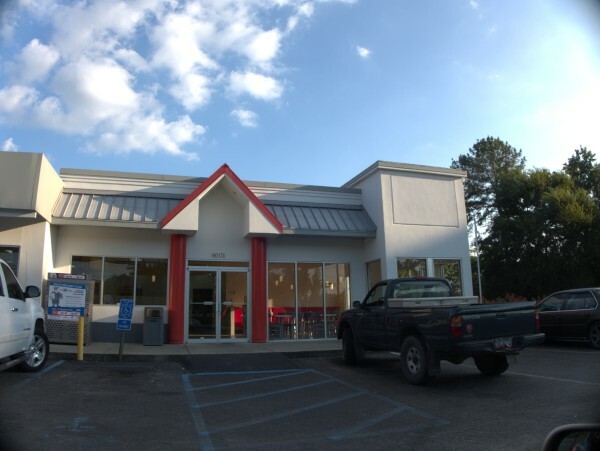 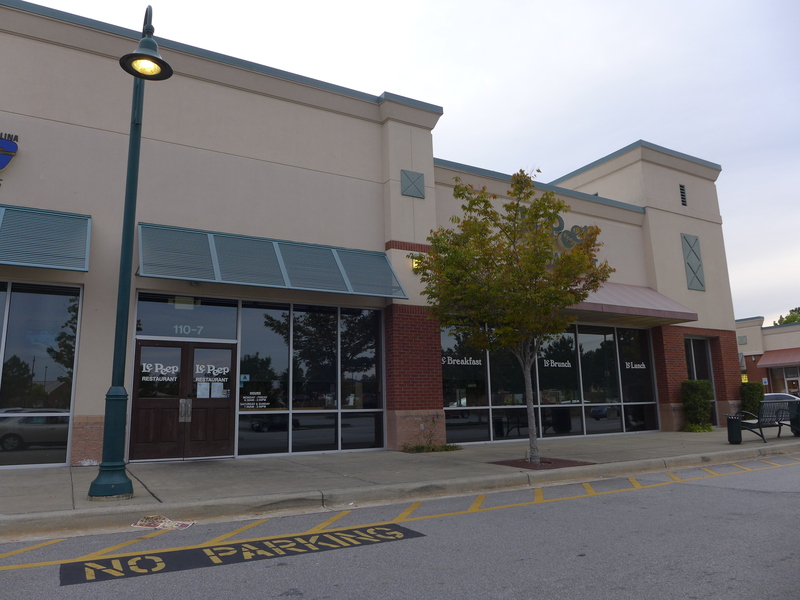 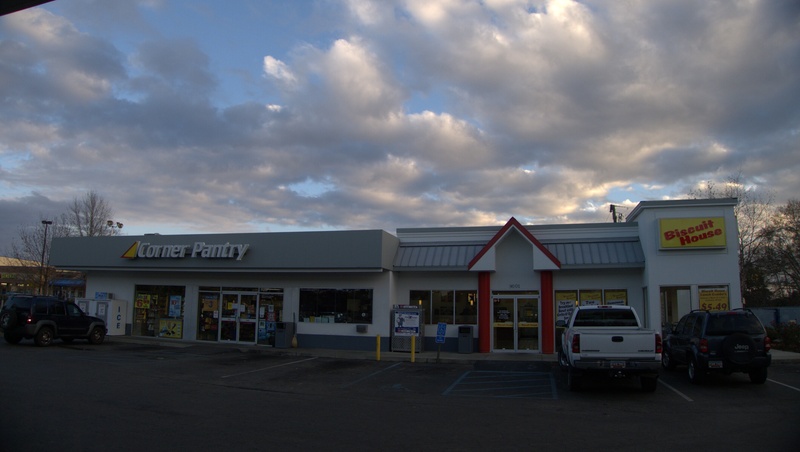 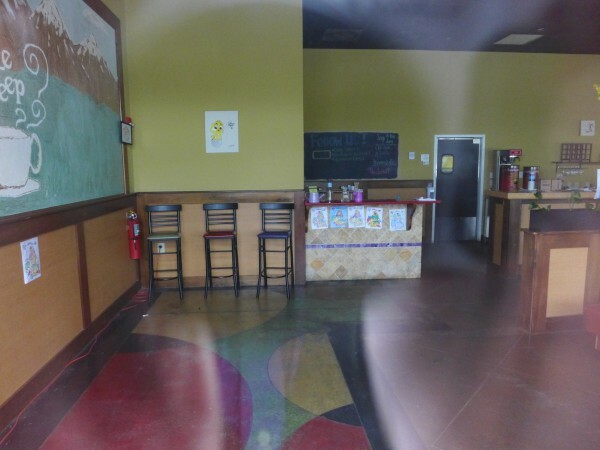 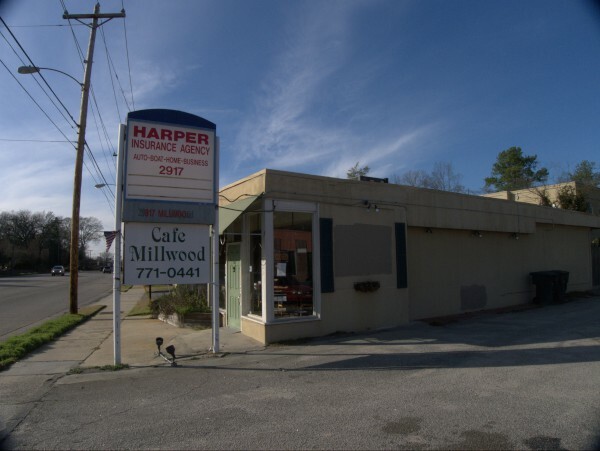 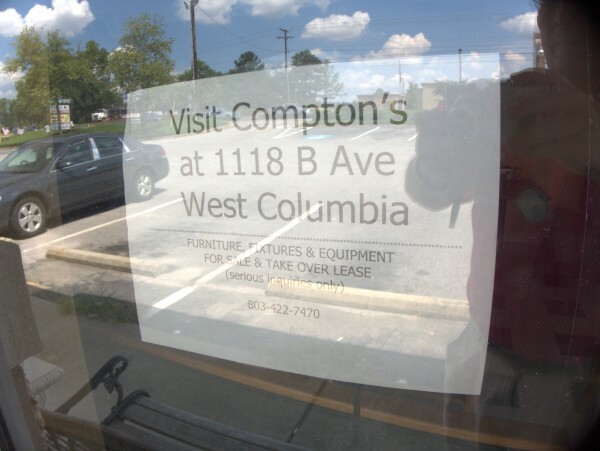 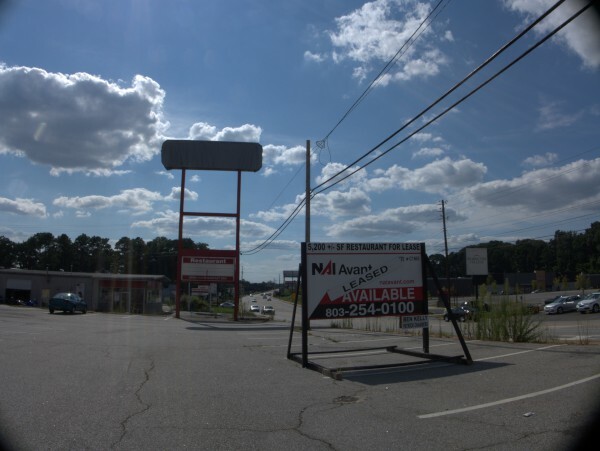 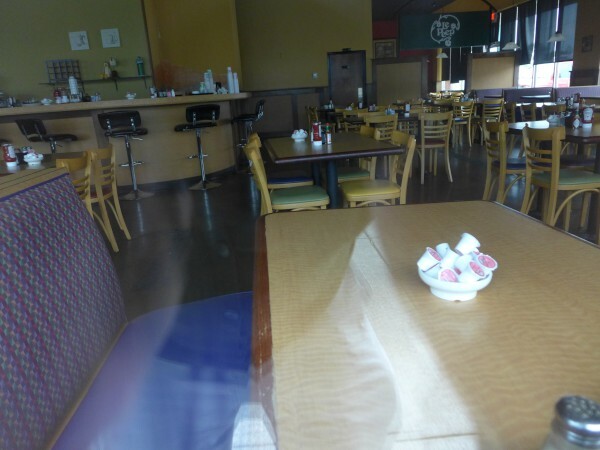 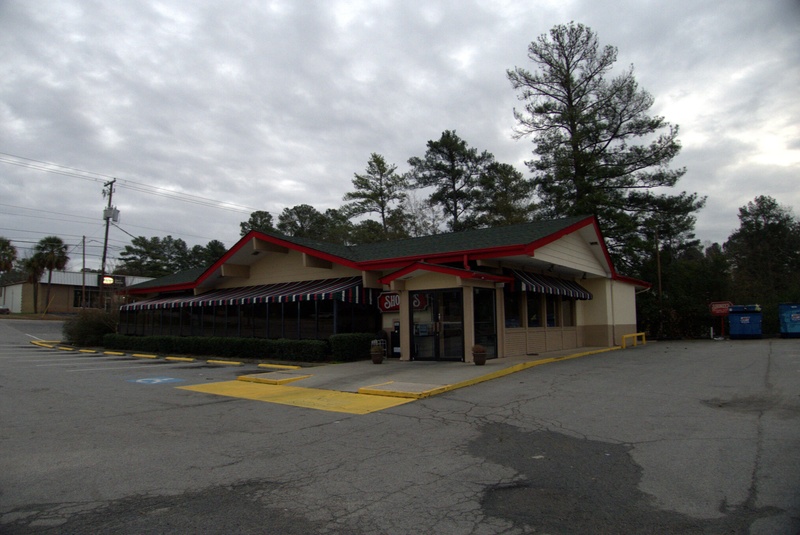 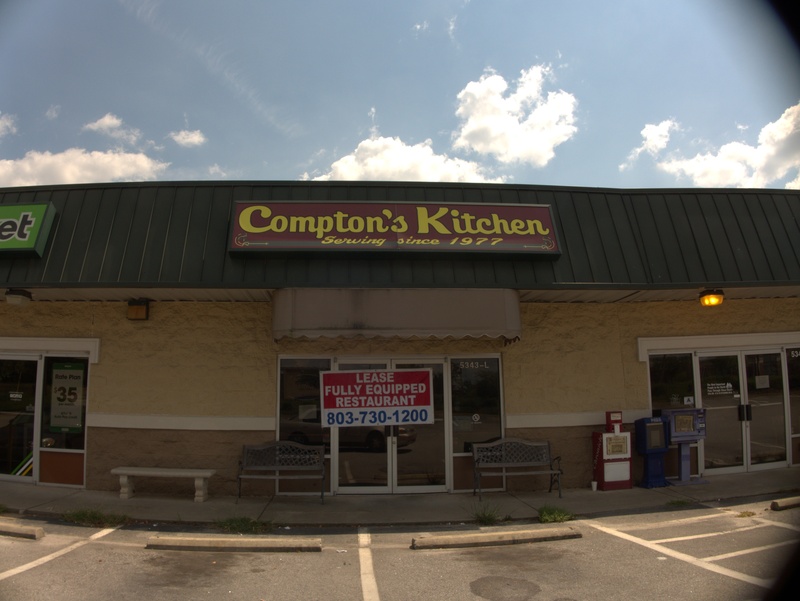 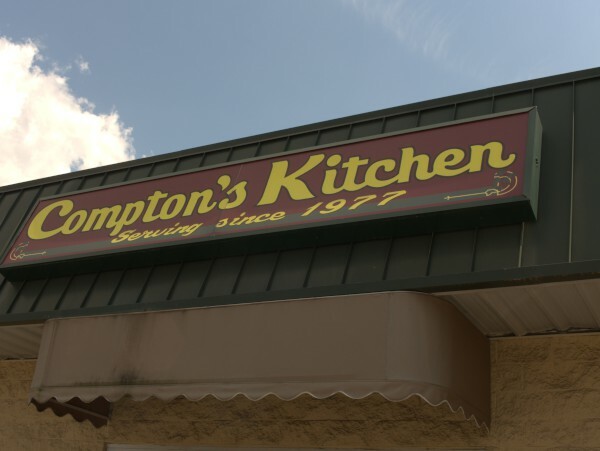 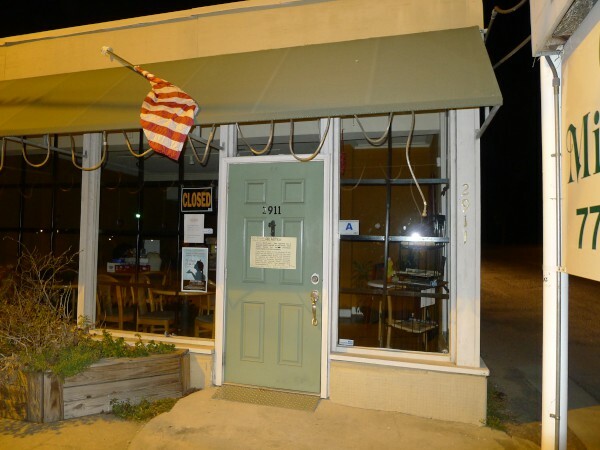 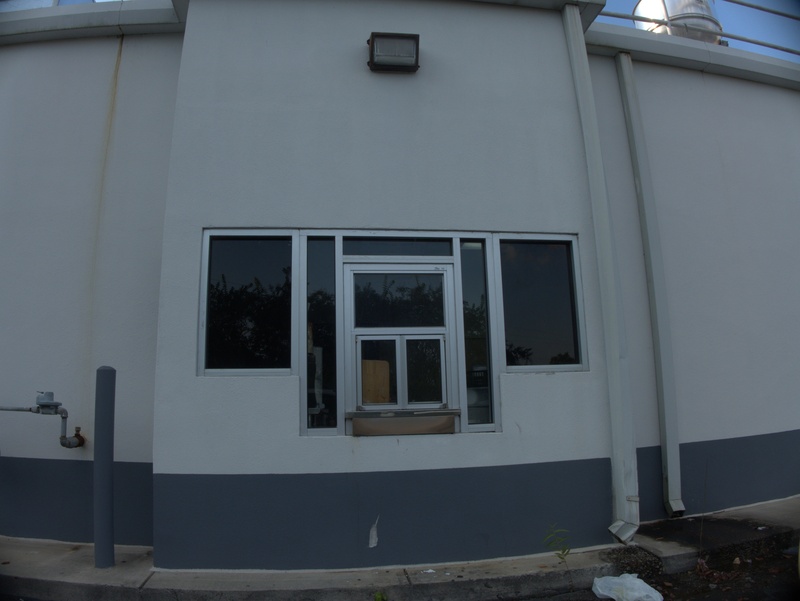 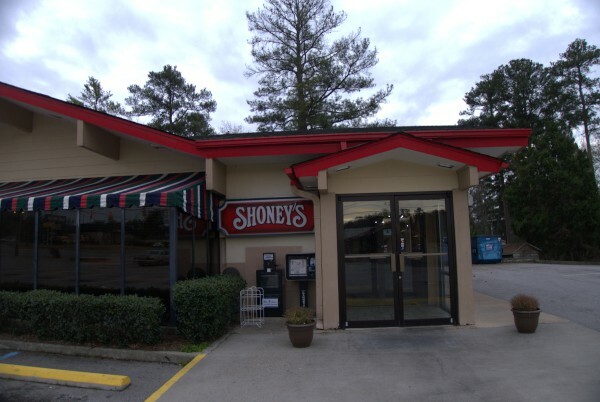 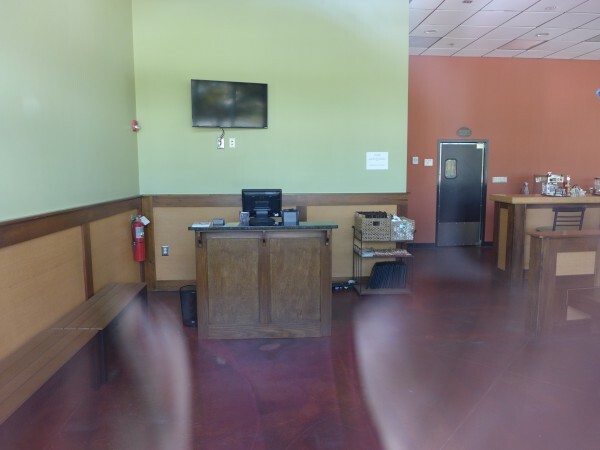 I believe that this one, in a Corner Pantry at the corner of Garners Ferry Road and Lower Richland Boulevard was the first such, and it opened sometime after March 2012. 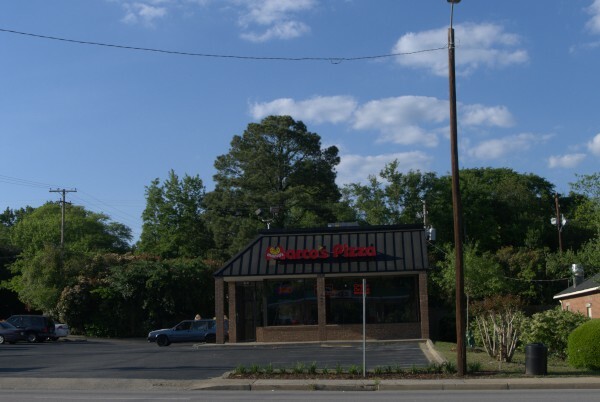 Somewhere, I have a picture of this location in operation, but can't put my hands on it right now. 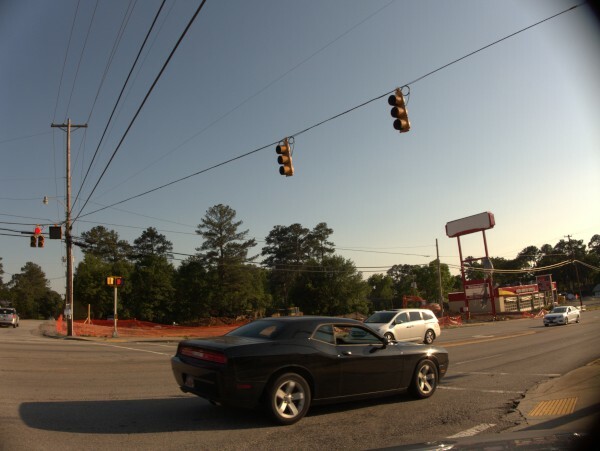 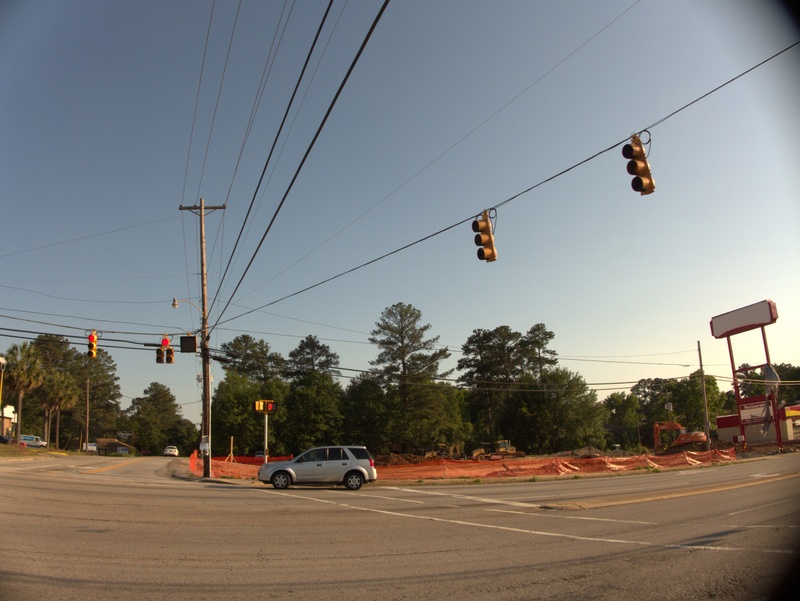 At any rate, as far as I know, this just leaves one other, in Irmo, from this initial roll-out. 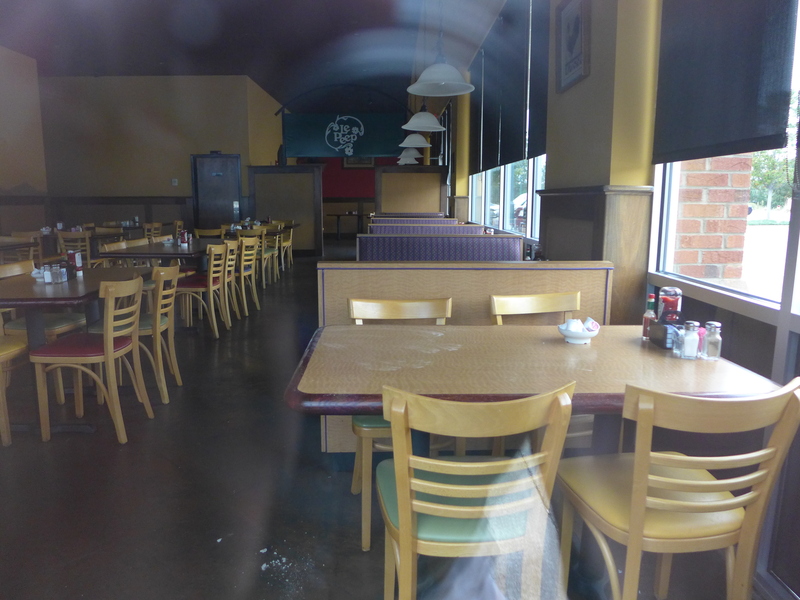 UPDDATE 8 October 2013: As promised, I have found and added the pix of the place in operation. 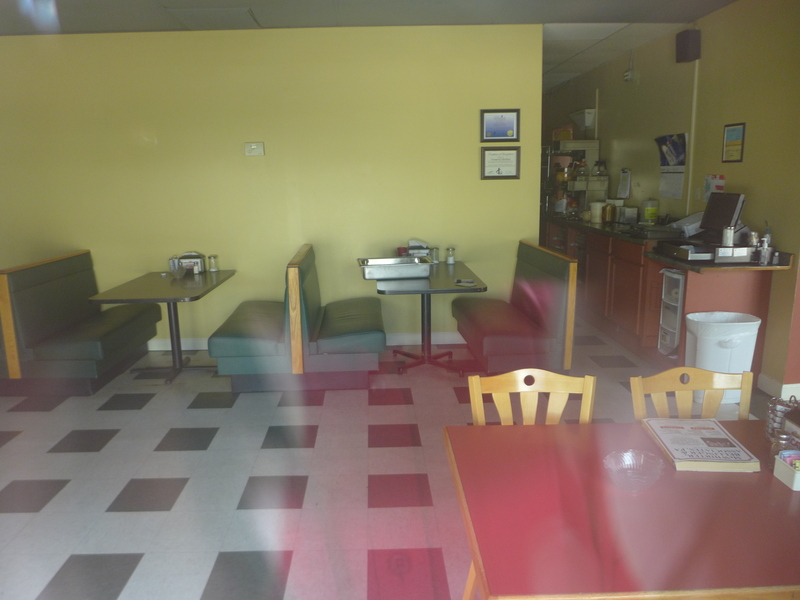 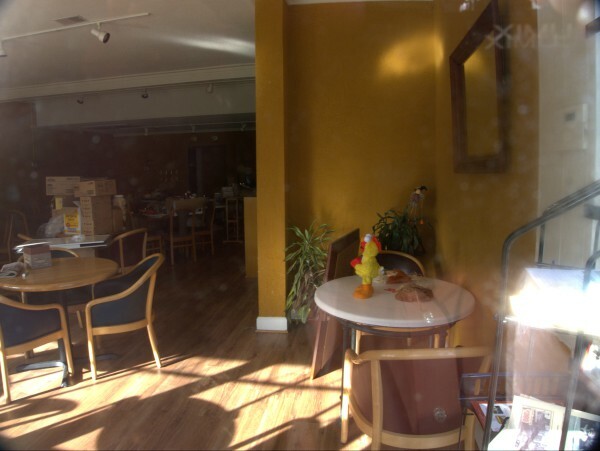 The first closing I did for this building was when it was Mary Ella's -- Well, actually most of that closing came from commenter Dennis, as does the first picture above. 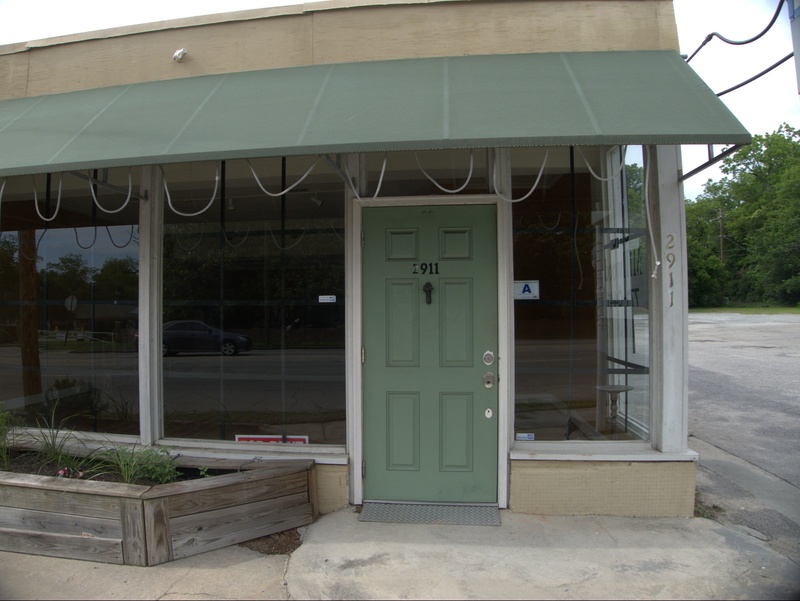 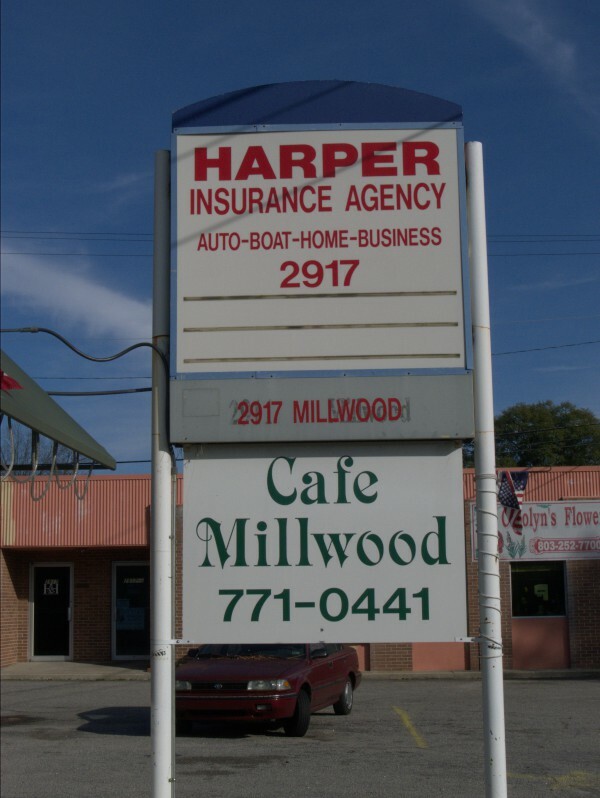 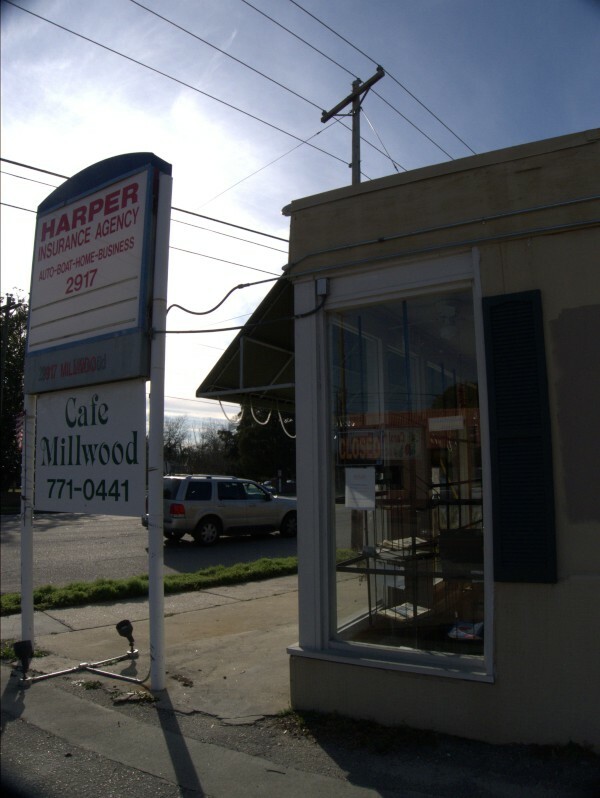 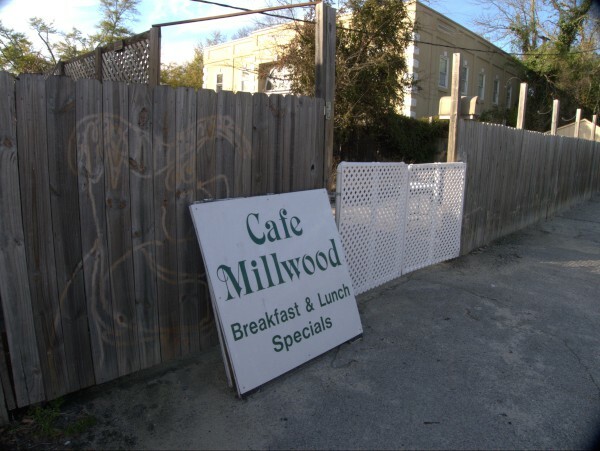 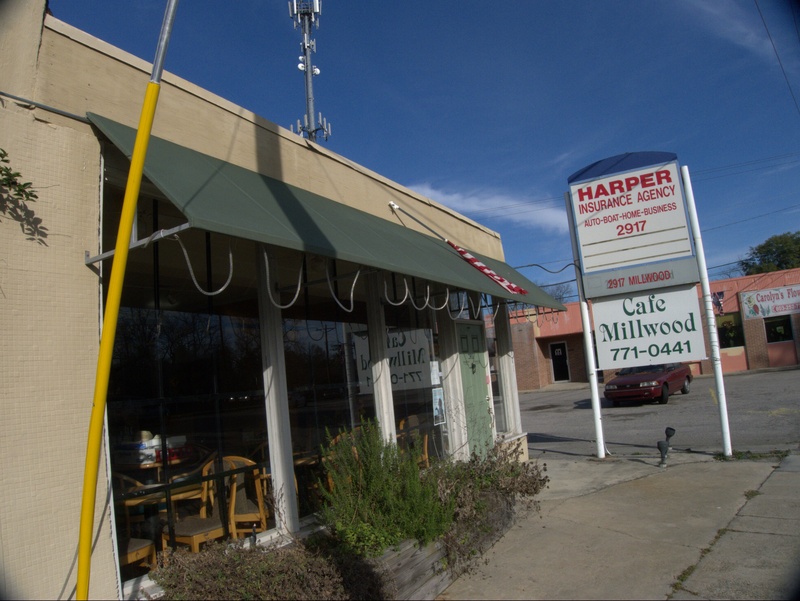 Cafe Millwood opened in the space shortly after Mary Ella's departed and was having a grand opening by February 2010. 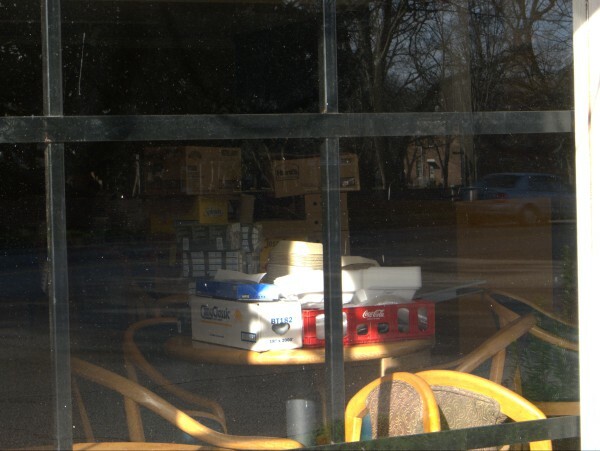 Curiously, the pictures on their still extant web site are all dated 2007, which is not possible, so apparently the camera clock/calendar was not set correctly. 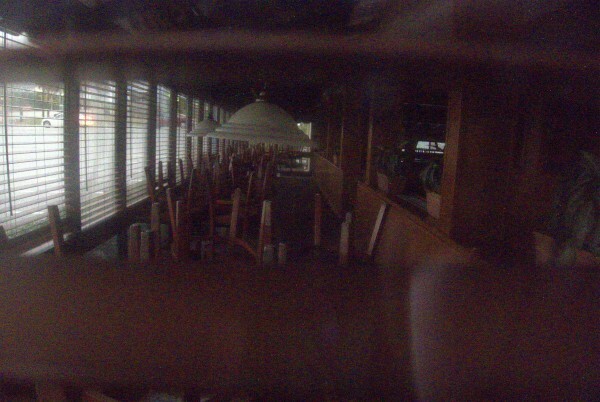 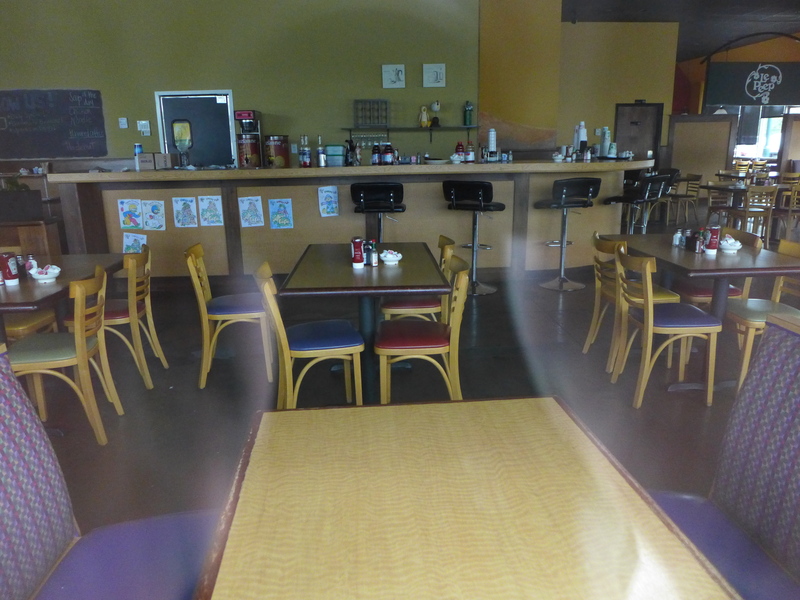 Along with the pictures, the site has copies of the menus and some background on the cafe. 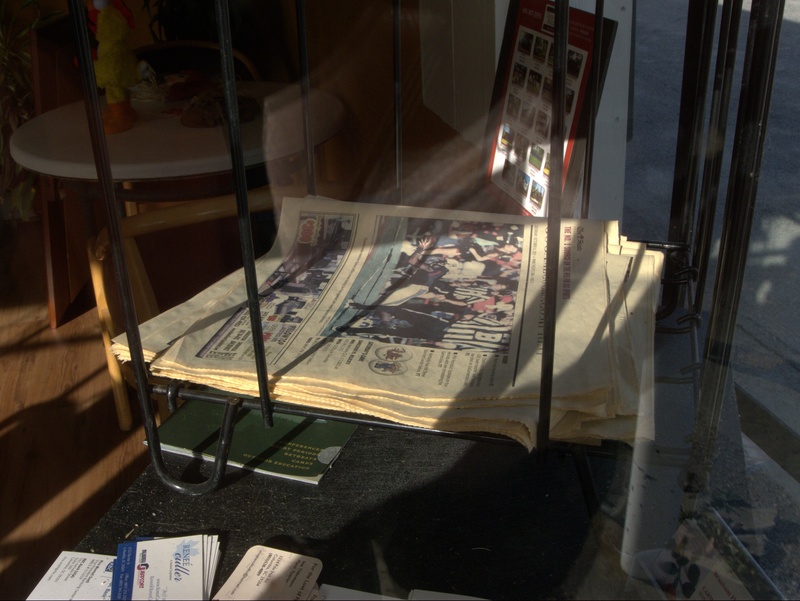 It's pretty easy to approximately date the closing by looking at the newspapers in the inside racks. 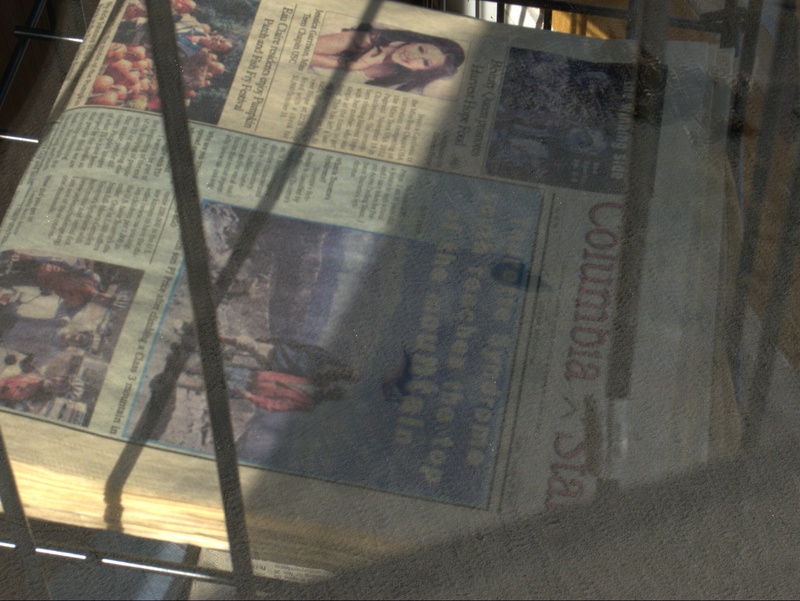 In particular, the copy of the Columbia Star with the story about the beauty queen who is promoting Harvest Hope food bank ran on 28 October 2011, and was apparently the last issue to be racked. There is no sign or indication on the door or elsewhere giving a formal closing notice, but the phone is disconnected, so I'm fairly sure this is permanent. 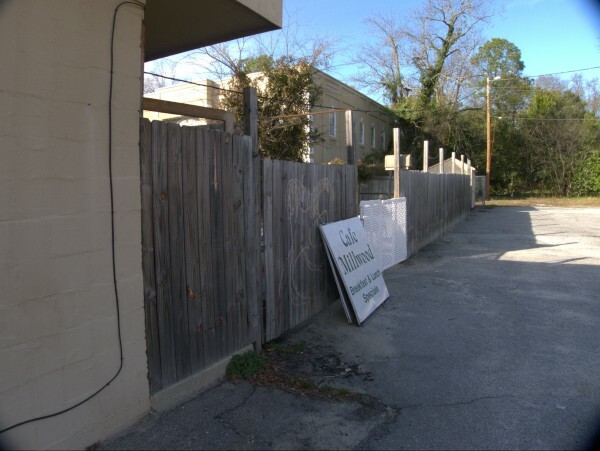 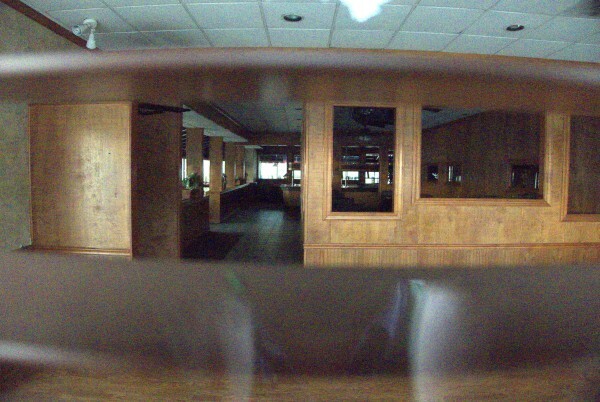 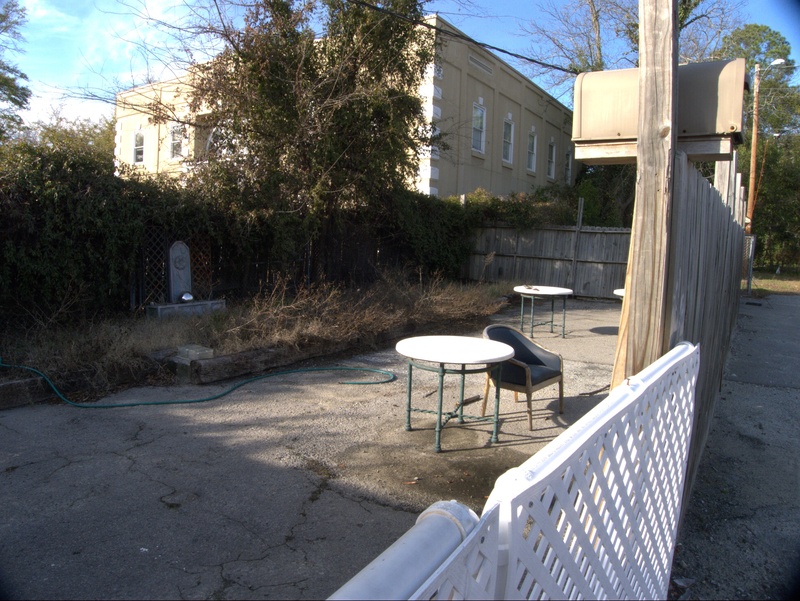 UPDATE 15 February 2012 -- Apparently it's to be Old Shandon Pub & Pizza and will have a beer or liquor license. 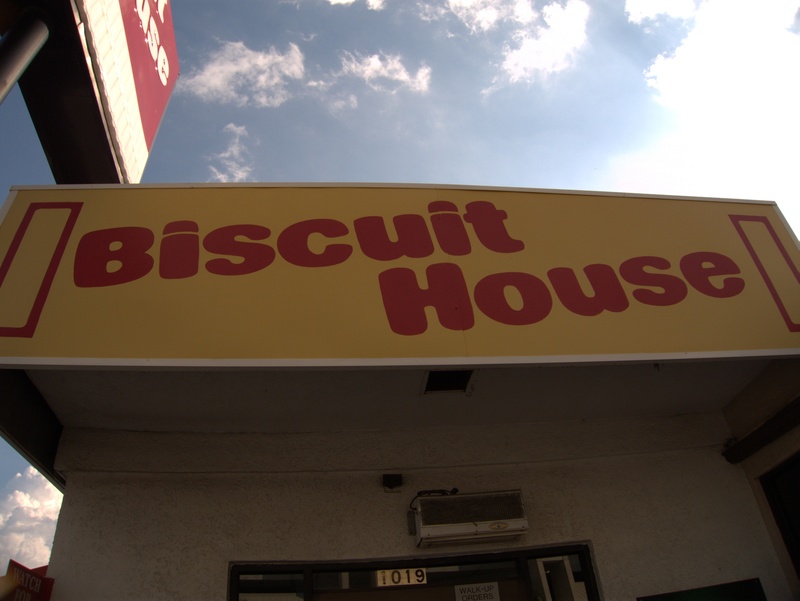 There were two problems with my ever visiting Biscuit House on Bluff Road behind the stadium: A) It was way on the other side of town and B) That whole waking up before absolutely necessary breakfast thing. Of course, lots of other people don't have those problems, and the Biscuit House apparently developed quite a reputation over the years. 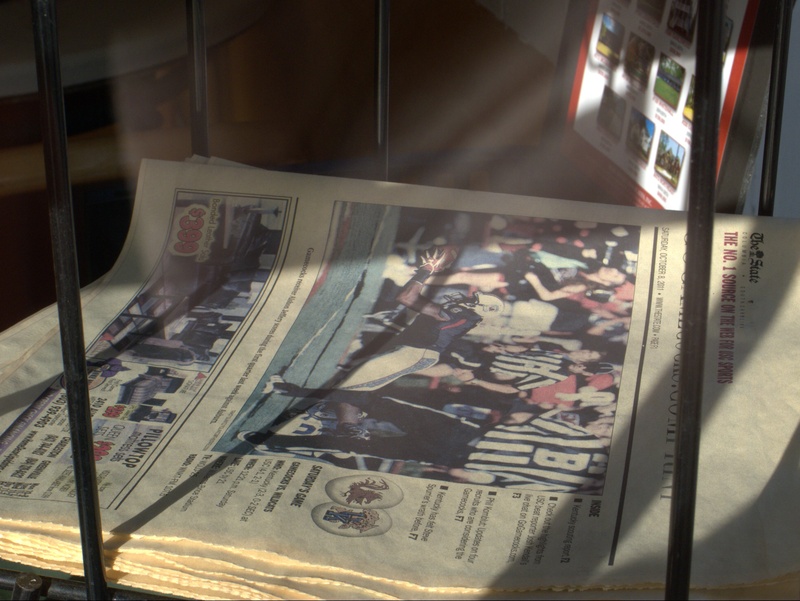 In fact, there was a spate of newspaper articles when its closing was announced, and even a video documentary. In the end, the problem was the same as for the Farmers' Market: USC bought up all the land for football parking. The good news is that apparently the Biscuit House recipies will live on in franchaised kiosks in local convenience stores.